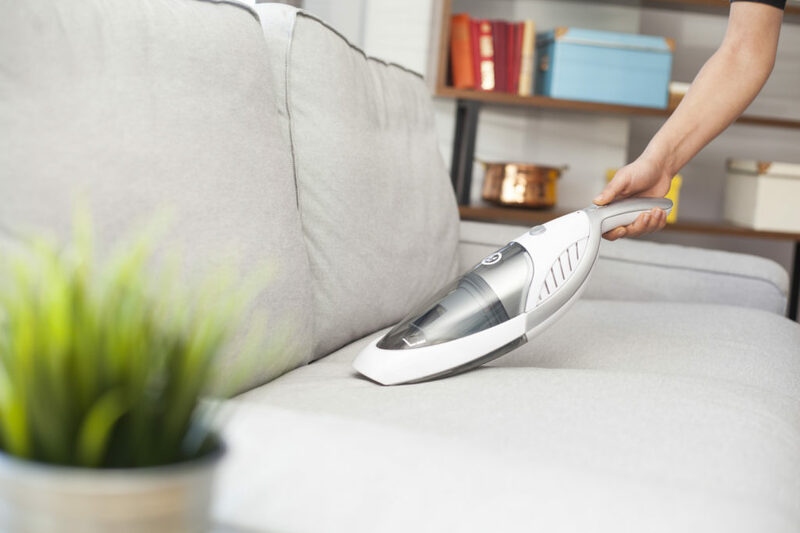 The Bissell Clean View is a bagless pet vacuum that specializes in cleaning up pet hair, but it’s also packing plenty of power, so it can handle dirt, debris, and dust. The vacuum has a triple action brush tool which is designed to get every hair on every type of surface. 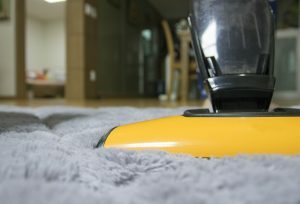 As you roll over different surfaces, from tile to hardwood to carpet, the vac will be able to pick up even the finest of pet hair on your sofa, floor, or any other surface in the home. The triple action brush roll works on three levels: first, it loosens the debris, then lifts it and then removes it sucking it straight into the built-in canister. 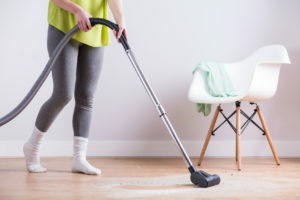 And it does this on multiple surfaces, so you can vacuum your entire home efficiently, and in half the amount of time it normally takes using a traditional vacuum. Included is the pet hair turbo eraser, which is a tool that is connected to the vacuum via the hose. 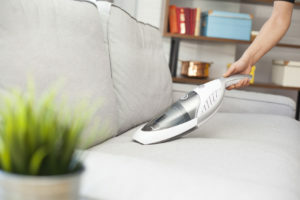 This tool can reach that annoying pet hair on stairs and furniture by using paddle-like, rotating bristles that catch and hold onto the pet hair, unlike other attachments which will only roll over the hair, picking up an average of thirty percent. The vacuum’s automatic cord winding system is honestly just icing on the cake. 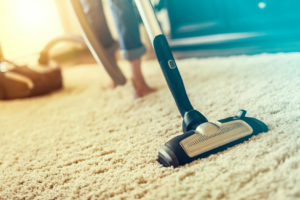 It winds itself back up and into the machine, so you don’t have to worry about wrapping it up yourself, once your vacuuming is complete. There are indicator lights for any blockage that may find its way into the system. Indicator lights are always great when you are left clueless about what’s affecting your vacuum’s suction power. And without it, you might just blame the vacuum for not being effective when you forget a clog can occur. Innovative triple action brush can affectively remove up to ninety percent of dirt and debris in one pass. 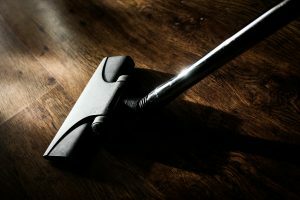 Multi-surface cleaning abilities allow you to tackle any surface in the home. The pet hair removal tool specializes in pet hair, allowing you to clean a variety of surfaces in your home, more efficiently. 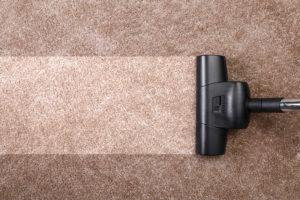 The automatic cord rewind feature means you no longer have to waste time winding up the cord once your done vacuuming. 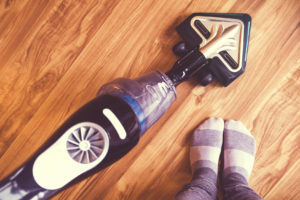 The removable canister allows you to ditch the dirt quickly and easily and ensures that your vacuum is running at optimal suction power at all times. The clog indicator light works to alert you as soon as the sensor detects a clog, so you can tackle this problem ASAP and get back to work. The hose isn’t very long so you have to carry the vacuum as close as you can to the actual stairs, tough to reach spots, etc. 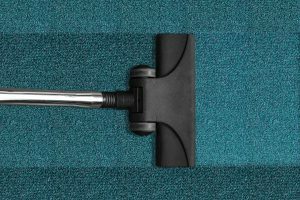 The vacuum sometimes falters with the suction and it’s hard to get into the actual area where it is clogged even with the indicator light. If you’re in need of a vacuum with a longer cord, check out the Hoover WindTunnel MAX Pet Plus Multi-Cyclonic Bagless Upright vacuum. 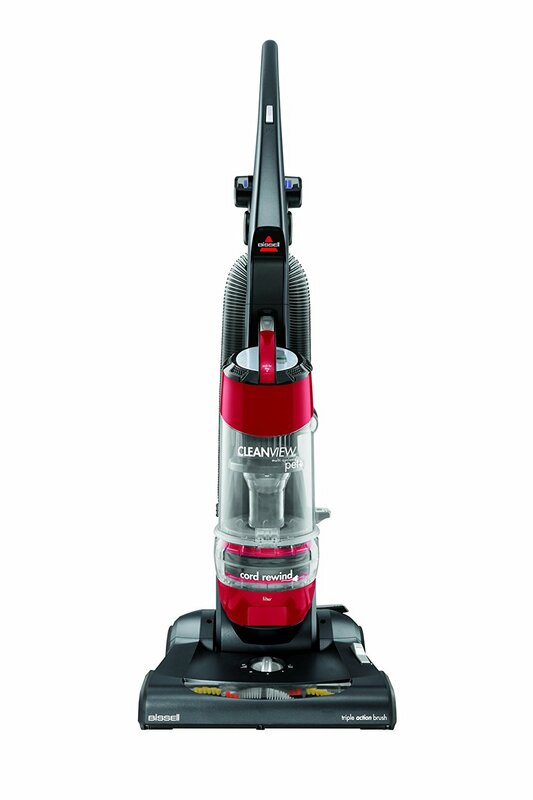 For this Bissell model, the pros really do outweigh the cons. The multi-level suction power and indicator lights for blockage are great extra features and it just seems to get better and better from there. 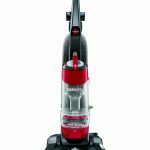 This vacuum is great for those with pets who are in need of a more powerful vacuum to help to clean up all the hair and debris that pets leave behind. In the end, you’ll find that this is the last vacuum you’ll ever need to buy. We gave this model a rating of four out of five stars.